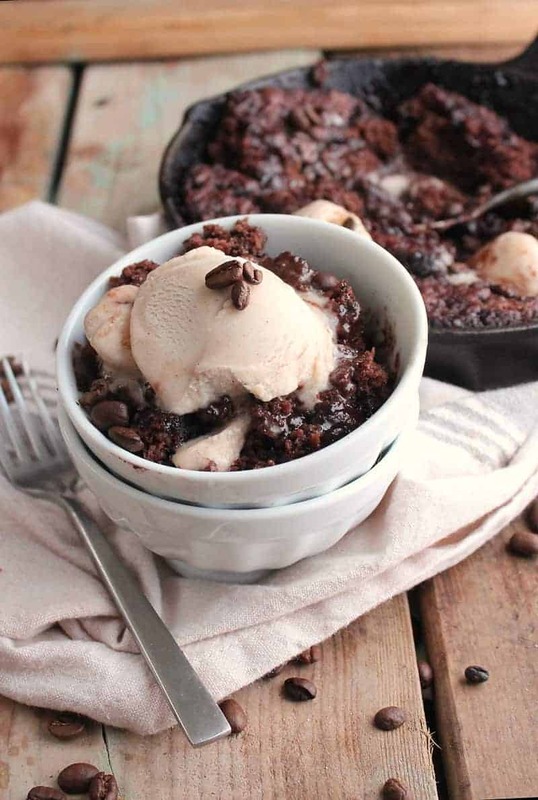 This quick and easy vegan hot fudge cake makes the perfect Valentine’s Day dessert. Serve with non-dairy ice cream or coconut whipped cream. We have been flying through Valentine’s Day recipes. In the last couple weeks I’ve shared recipes for my Penne alla Vodka, Chocolate Chip Pancakes, and Chocolate Raspberry Martini as well as 50 MORE vegan Valentine’s Day recipes. Today I am wrapping up the Valentine’s Day with an old family favorite, this vegan Hot Fudge Cake. This espresso cake is rich in chocolatey and coffee flavors, can be thrown together in 10 minutes, and is naturally vegan for a quick and easy Valentine’s Day dessert. 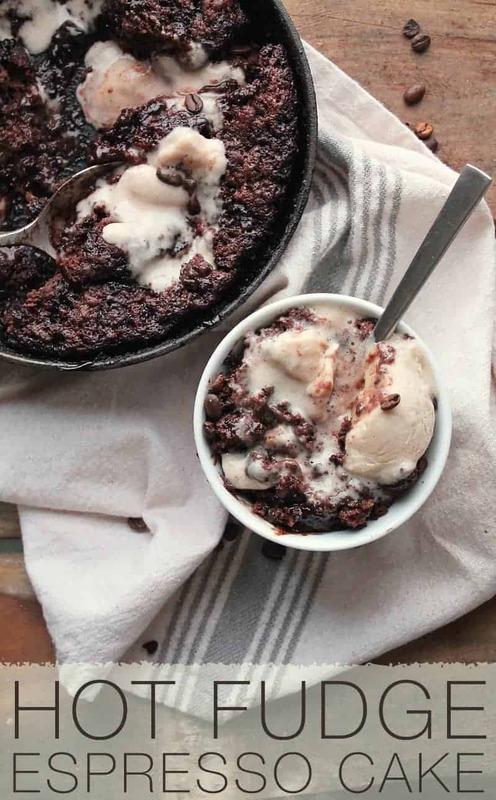 This Hot Fudge Cake is a variation of a childhood favorite; it was one of our classic go-to desserts for many years. When I became a vegan 10 years ago I didn’t know anything about vegan baking. Replacing eggs and butter was an unsolvable mystery and, in making the transition to veganism, I believed it was entirely possible that I would spend the rest of my life without a sweet treat. But that’s another story. One of the first things I learned in the process of veganizing my life was that some cakes and desserts are naturally vegan! For example, this amazing Hot Fudge Cake. Needless to say, this dessert became a staple in my house for at least 6 months until I learned about vegan egg replacers and Earth Balance buttery sticks. And even though my skills and knowledge of vegan baking have grown incredibly over 10 years, I still will turn to this cake for a quick, last-minute treat when it’s late at night at the sweet tooth is acting up. It’s incredibly quick to throw together. Like, under 10 minutes, friends. And, of course, it’s versatile when it comes to flavor. I added coffee for a bit of a bitter bite, but consider adding peanut butter or peanuts, raspberries, cinnamon and cayenne, or any thing else you think jives with dark fudgey chocolate flavors. With Valentine’s Day just around the corner, what are you waiting for? If you’ve got 10 minutes, you have yourself a Hot Fudge Cake! 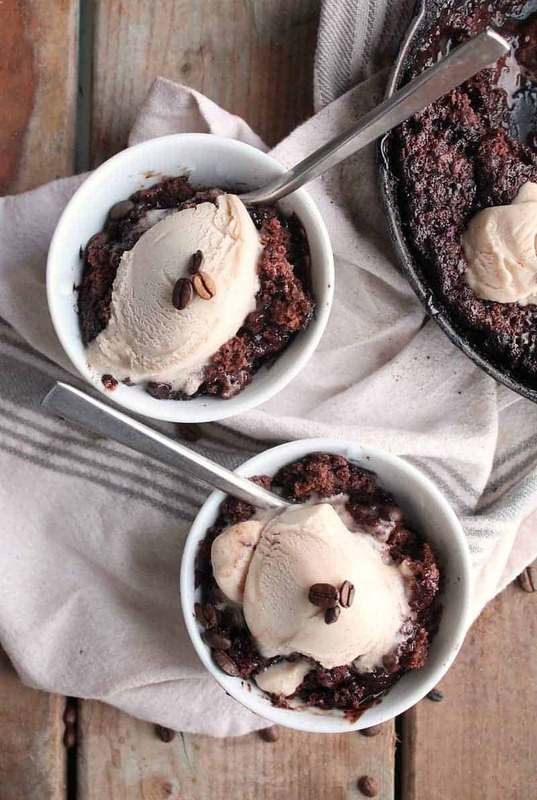 This quick and easy vegan hot fudge cake makes the perfect Valentine's Day dessert. Serve with non-dairy ice cream or coconut whipped cream. In a small bowl mix together flour, white sugar, 1 tablespoon cocoa powder, baking powder, and salt. In another bowl, whisk together vanilla extract, oil, and almond milk. Transfer to flour/sugar mixture and stir to combine. Pour batter into prepared baking dish. Combine brown sugar and the remaining 2 tablespoons of cocoa powder and sprinkle over the batter. Pour hot water over the top; do not stir in! Place cake in the oven and bake for 30 minutes until a thick crust has formed and the fudge sauce is bubbling underneath. Let cool for 15 minutes. Top with powdered sugar, berries, or your favorite non-dairy ice cream. 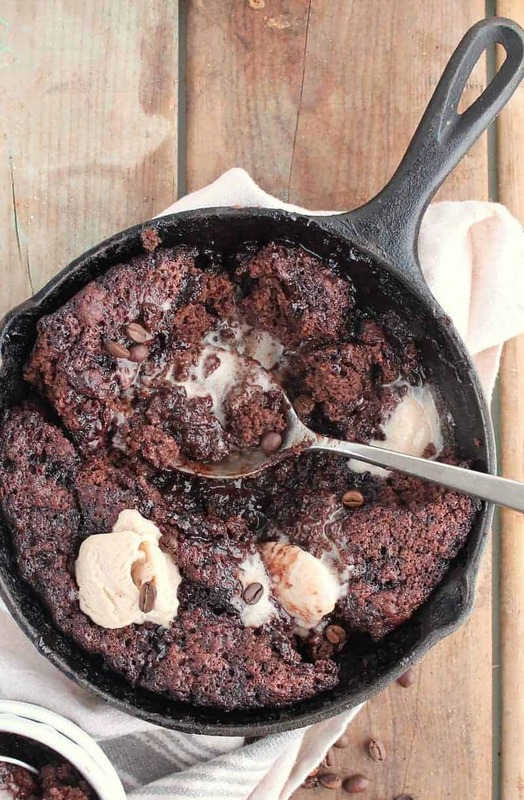 I just did this recipe but it didn’t work out well for me… It stayed in the oven for around 25 minutes and it was almost dry so I took it out and had to make a chocolate sauce to eat it because it was cakey and not fudgy at all…. Could have I done something wrong? I’d love to try it again but I’m afraid it’ll turn out exactly the same as this one. It shouldn’t have been dry. The topping should give it the chocolate sauce that you ended up adding at the end. Did you make any substitutions? Did you stir in the topping? Yeah, that would work just fine! Has anyone tried this without the oil?? Reminds me of pudding cake from when I was a kid. I think you could sub apple sauce for the oil for an oil-free option. If you try it, let us know how it goes! You’ll have to bake it a bit longer. Just look for the thick crust to form with the fudge-y liquid bubbling up from underneath to know when it’s done. Oh my, this looks amazing! I vaguely remember making a cake when I was younger where you poured hot water over the top, I believe we called it “bonfire cake” though I can’t remember much more than that! It’s such a clever way to make a cake. Thanks, Emma! I agree. It’s clever, simple, and really delicious!